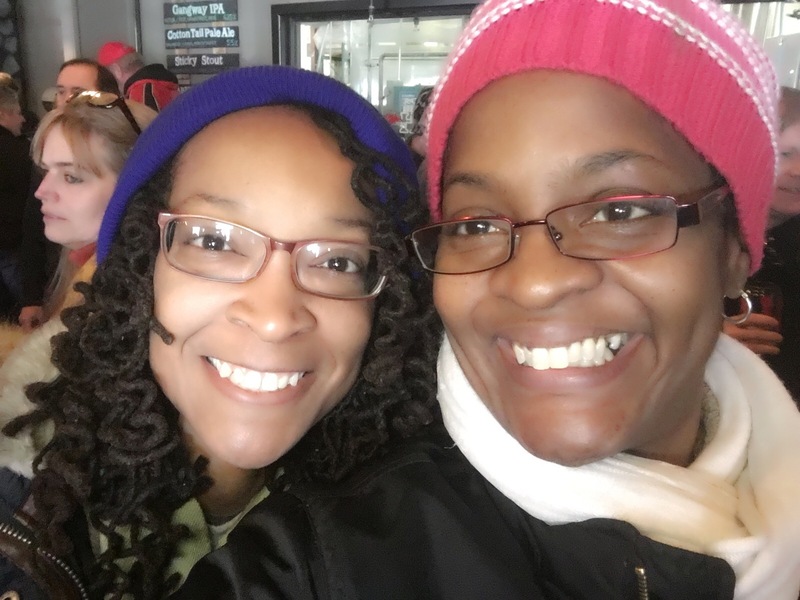 Last week I traveled with my mother and daughter to Cleveland, Ohio. It was our first road trip of many together. We were pretty excited to explore the great city of Cleveland. I had contacted Destination Cleveland for an itinerary of things to do during our stay. Their list included various attractions and places to eat as well. We also had a list of places we wanted to check too. Because we were traveling from Toledo, Ohio, our road trip was only about 2 hours. We left early Wednesday morning to get the most out of our 2 days in Cleveland. We arrived in Cleveland at about 10:45 AM. The first stop I wanted to make was to Brewnuts. I’ve been kind of stalking them on Instagram for months now. I really wanted to go early since they have a reputation of selling out early in the day. Brewnuts is located in a neighborhood on the West Side of Cleveland called Detroit-Shoreway. This donut shop is the result of two genius Clevelanders, Shelley & John Pippin, who quite their jobs “to pursue their three favorite things: donuts, beer and Cleveland.” Today, Brewnuts is serving up delicious craft beer based donuts and is being stalked by people like me. When we arrived at the corner donut a signed that illuminated on the side of the building read “DONUTS & BEER”. I was so excited!! We entered the shop by pulling on a door handle that was a pink rolling pin. Love! The inside was just the cutest! I probably took about 20 pictures before even making it to the counter. Once we made it to the counter, we were then presented with a major decision. What donuts we were going to get! They all looked amazing! I finally decided on the Hibiscus Limeade. My daughter went for the Mocha Toffee. So how did they taste?? AMAZING!! I tried not to eat all of it and save some for later. That plan did not work out too well. This is definitely a stalk-worthy donut shop in every sense! Next, a quick stop to another cool mural by muralist, Victor Ving. I’ve been a fan of his Greetings Tour ever since I discovered on of his murals in my hometown, Toledo. What a cool way to welcome visitors from out of town! I found out where the Greetings from Cleveland mural was from the list of murals on their website. I put the location in my google maps and shorty we were there! Let the photo shoot begin!! Our next stop was to our hotel for the night. 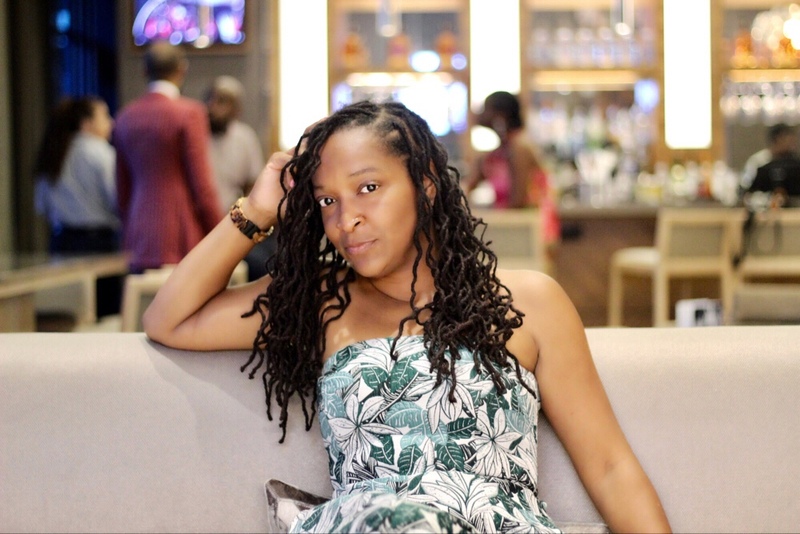 With the amazing assistance of Destination Cleveland and the generosity of the Holiday Inn Express, I was hosted at one of the most beautiful hotels in downtown Cleveland. Now this is not your ordinary Holiday Inn Express. As soon as you walk up to the building you realize that right away. Located in the renovated 19th century historic Guardian Bank Building built in 1894, this building was once one of the tallest building in America. In 1999, it was converted into a Holiday Inn Express. In 2000, it was added to the National Register of Historic Places. This hotel has an incredible vintage feel about it that can’t be denied. Upon arrival, we were warmly greeted by valet. Valeting your car is a good idea, with it being a fee of $24 flat, from check-in to check-out. In and outs are allowed as well. Located in downtown area, it’s definitely convenient to just valet and just walk around and explore rather then trying to find parking. Holiday Inn Express is also in walking distance to many coffee shops, restaurants, attractions and even a market. Check-in was a breeze! My room was even ready early! The hotel attendant provided me with two key cards and some useful tips to make my stay even more comfortable. She also gave me two cocktail tickets to use at the hotel’s Evening Refresher. Nice! Our room was on the 6th floor. When we got off the elevator, we noticed the floor was hardwood, which continued into our suite. I thought that was a very cool feature of the hotel. My mother really appreciated it because she suffers from allergies. Carpet is definitely not her friend. The room was very nice! It had high ceiling, huge floor to ceiling windows, and a cute kitchen and living room area. There was ample space for all of us. The queen sized beds were super comfortable! Our stay also included free WIFI, hot complimentary breakfast and a 24 hour fitness center. *Big Thank You to Holiday Inn Express for hosting me during my stay in Cleveland. As always all options are that of my own. After getting settled in our room, we left to explore some more! Our next stop was to the the Cleveland Museum of Art. The Cleveland Museum of Art was founded in 1913 and opened in 1916. Its collection includes “45,000 objects and spans 6,000 years of achievement in the arts.” All of this FREE OF CHARGE TO ALL!! Our visit the Cleveland Museum of Art was amazing. There was so much to see! I enjoyed stopping and speaking to Museum employees about the art. You could tell they also had an appreciation of the art and the Museum. Before dinner, we made a quick stop to the Cleveland’s oldest publicly owned market, West Side Market. Since its opening in 1912, it’s been a Cleveland landmark. This place is incredible! With I’ve 100 vendors offering baked goods, coffee, spices, and meats, it is most definitely a foodie’s playground. One block from the market, was another place I found on Instagram while planning my trip to Cleveland, Soho Chicken + Whiskey. I had to visit! I found out that on Wednesdays you can order chicken and fixings À la cart and their prices were very reasonable. Everything on the menu sounded amazing. I ordered 2 wings, rosemary waffles, and roasted asparagus. A plate of warm biscuits with whipped butter and apple butter to share was also included. It’s making me hungry just thinking about how good it was. Thursday, we got an early start on the day and headed across the street to Pour Cleveland to grab some espresso. Located in the heart of downtown Cleveland, Pour Cleveland is a multi-roaster pour over and espresso bar. They strive to “serve really good coffee and make people happy.” And that is exactly what they did on my visit. The baristas were very friendly and made everyone in my party very happy. What a great way to start the day! 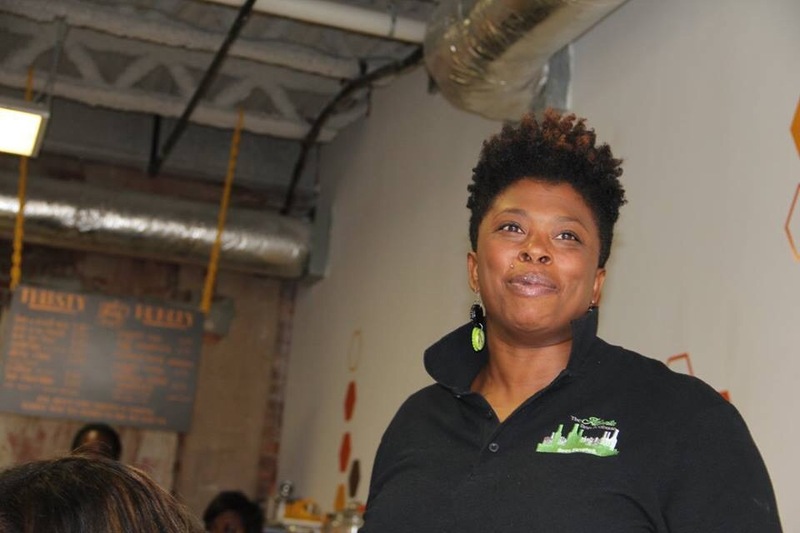 In addition to serving and array of espresso and tea beverages, Pour Cleveland also offers fresh pastries, catering, brewing equipment, power sourced tables/ free wifi and good vibes. They even featured my daughter on their Instagram account! The day before we noticed a market not too far from the hotel we were staying at called, Heinen’s. Heinen’s is a Cleveland based family-owned grocery store that’s been around since 1929. Today the founder’s grandsons keep the legacy alive with 23 neighborhood stores across Northeast Ohio and the Greater Chicago area. The downtown Cleveland location is a sight to see. Located in the historic Cleveland Trust Rotunda building, this grocery is like no other. It’s definitely a downtown Cleveland landmark. When you walk through the doors you just have to stop and admire the beautiful architecture of the inside. The ceiling is just breathtaking! Once you get done taking dozens of pictures of the ceiling, you realize this “grocery store” is not just like any other grocery store you have ever been in. This place is a foodie’s paradise. There is an insane selection of artisan cheese, meats, local products, and prepared foods. I imagined this to be the spot to grab lunch if you worked downtown. On the second floor you will find a very large selection of craft beers and wines. They also hold several wine tastings and dinners in this department as well. I was totally in love with Heinen’s!! Back up street we walked to find the Federal Reserve Bank of Cleveland. Inside this building historic building you with learn about what a bank does in its Money Museum. My daughter enjoyed all of the interactive displays throughout the museum and of course getting a bag of shredded money at the end. The Money Museum is free for all! After a short rest at our hotel, we continued our day of adventure at the Great Lakes Science Center. With the mission “to make science, technology, engineering and math come alive”, they are also making it fun. Just ask my daughter! What a cool place! We started our exploration of the center in Cleveland Clinic Dome Theatre to watch a very interesting film called Amazon Adventure. Watching it under the gigantic 6 story high domed screen made the film even more interesting. Next we explore the HUNDREDS of hands-on exhibits. It was science overload and we LOVED it!!! My daughter was very sad we had to leave. She could have been there all day. This is a must-do attraction for kids and adults alike. *Special thanks to the Great Lakes Science Center for providing complimentary tickets to me. As always all options are my own. We decided to check out one other local coffee shop before heading back called Passengers Cafe. This Ohio City coffee shop is located in the lobby of the Cleveland Hostel. They offer amazing espresso drinks, bagels, toast, and local pastries. Head upstairs to their cool rooftop situation, perfect for sipping lattes. Our last stop before heading home was to B Spot Burgers. B Spot Burgers is located right outside downtown Cleveland in Westlake, Ohio. This restaurant is the brainchild of Food Network Iron Chef, Michael Symon. The menu had so many delicious options! I order The Gobbler with rosemary fries! So good!! AND I was excited to see that they had a pickle bar to further dress my burger. Be sure to check out their happy hour menu for more delicious deals! Cleveland is an amazing city! I definitely need to come back and do some more exploring. I need about a week there! If you’re planning a trip to Cleveland, Ohio in the near future consider adding these places to your itinerary. The greatest stories and biggest names in rock and roll shine on at the Rock & Roll Hall of Fame, which celebrated its 20th anniversary in 2015. The experience includes four theaters, multiple interactive stations and seven floors that tell the story of the world’s most powerful art form. Visitors can pay homage to rock icons and see video, artifacts, memorabilia and other cool, “one-of-a-kind” stuff on display at the Rock Hall. The Rock Hall is dedicated to exploring the past, present and future of music and the cultural context from which it emerges. Excitement, enrichment and inspiration await during an afternoon of creative play at the new Children’s Museum of Cleveland. From thinking like scientists to embracing their inner artists to designing, building and exploring a pretend city, kids can write their own script in this open- ended learning environment. Families can get hands-on in the new Wonder Lab with water tables and magnetic walls; create their own masterpiece in the Arts & Parts room and discover their own adventures throughout this former Millionaire’s Row mansion, the stately Stager- Beckwith home. The Powerhouse, located in the West Bank of the Flats, is now home to the 70,000-square-foot Greater Cleveland Aquarium. The historic building includes eight galleries and over 50 exhibits with aquatic life from around the world. Visitors have the chance to dive right into interactive experiences with stingray and tortoise encounters and aquarium feeding times. One of the most exciting exhibits includes a sea tube that allows visitors to experience life under the sea in a clear, 150’ walk through tunnel. From dinosaurs to diamonds, the Museum is a beautiful blend of traditional and interactive galleries that show kids of all ages how history and art connect with the natural world. At the Ralph Perkins Wildlife Center and Woods Garden visitors can marvel at bald eagles, owls, foxes, bobcats, deer and other animals in this 2.2 acre outdoor gallery that connects to the Cleveland Museum of Natural History. The different mixture of creatures, ranging from endangered animals to animals that have learned to live with humans makes this nature center unique. Home to more than 3,000 animals located throughout 165 rolling wooded acres and a two-story Rain Forest full of exotic creatures and striking plant life from across the globe, Cleveland Metroparks Zoo and Rainforest is one of the city’s must-see attractions. Families can get “nose- to-trunk” with a six-ton elephant at the five-acre state-of-the-art African Elephant Crossing, the nation’s first LEED certified major outdoor animal exhibit. 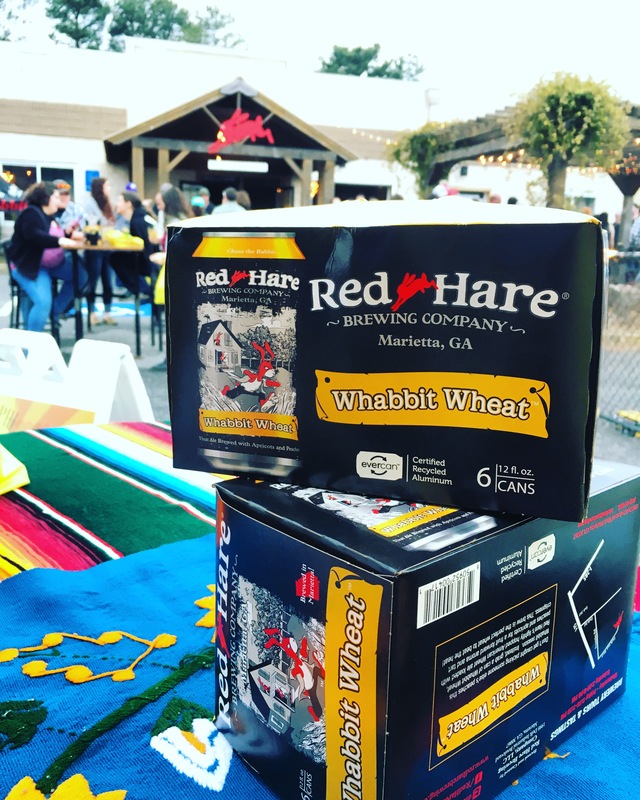 This afternoon, fans of the local brewery, Red Hare Brewing Company, came out to celebrate the re-release of their spring seasonal beer, Whabbit Wheat. If you haven’t had it, you’re really missing out. It’s a lightly hopped American wheat beer with notes of apricots and peach. It definitely taste like spring in a glass. 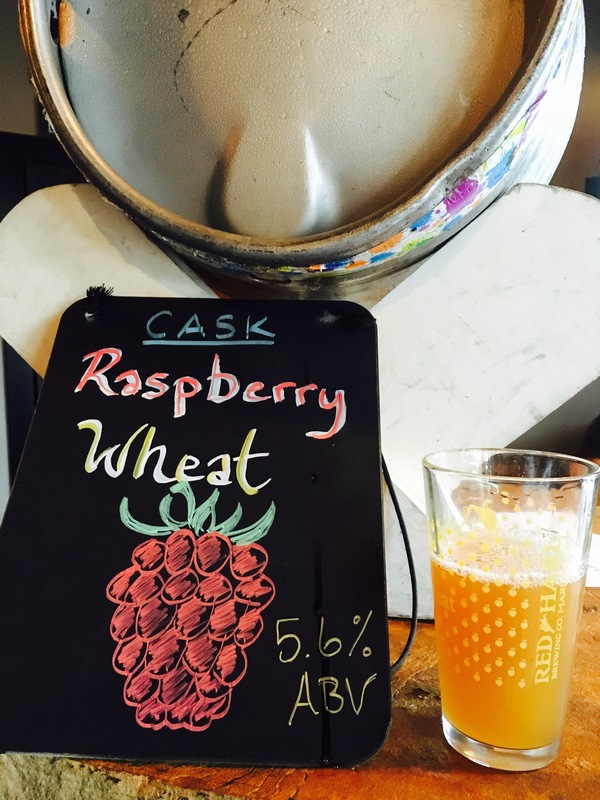 In addition to the Whabbit Wheat, guest were able to taste three Whabbit Wheat specialty cask: Clove Banana, Chocolate Strawberry, and Raspberry Wheat. Tasty!! My favorite of the three, the Chocolate Strawberry Wheat. I need them to go ahead and can that. Like right now. Today. 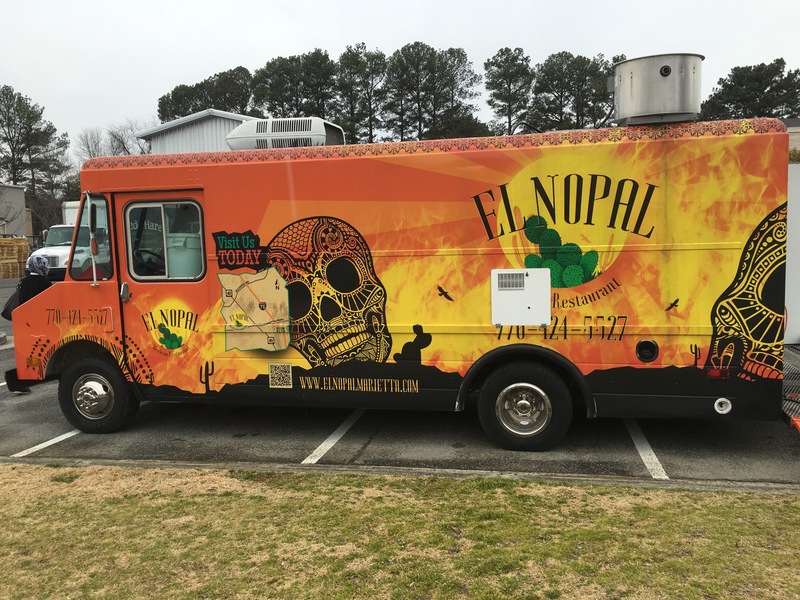 To help soak up all this tasty beer, El Nopal was there serving up some tasty Mexican cuisine. 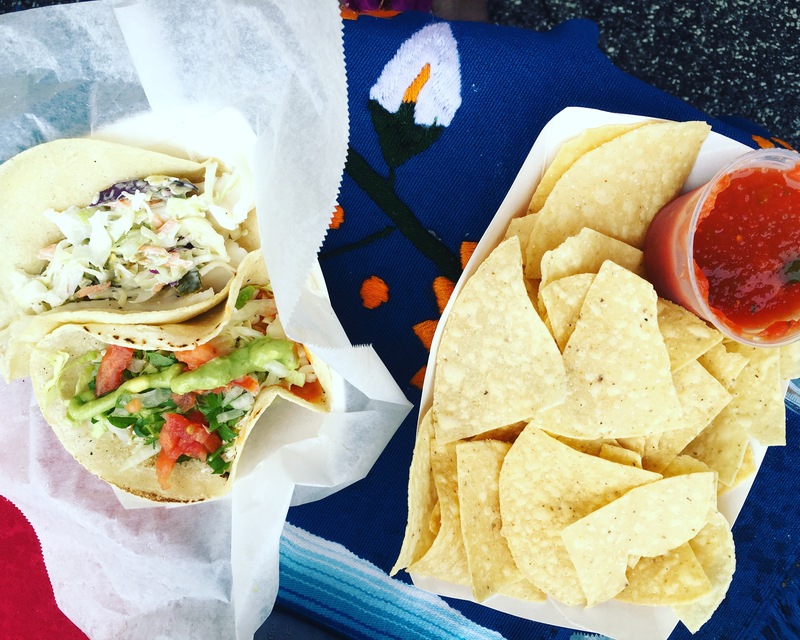 I had a Diablo Shrimo Taco and a Fish Taco with Chips and Salsa. It paired perfectly with the selection on beers on tap. These tacos had so much flavor! I kinda of want one right now. In between the raindrop we enjoyed the sounds of Chris Weinholz, who was sanging out on the patio. He sounded great! He has a new fan for sure. Just when we thought the fun was over, it was announced that there was a brewery tour starting in a few minutes. Cool! I’m in! The tour was lead by Owen , who told us all about the process of brewing and canning beer. Thanks Owen! All in all, it was a great Saturday spent. 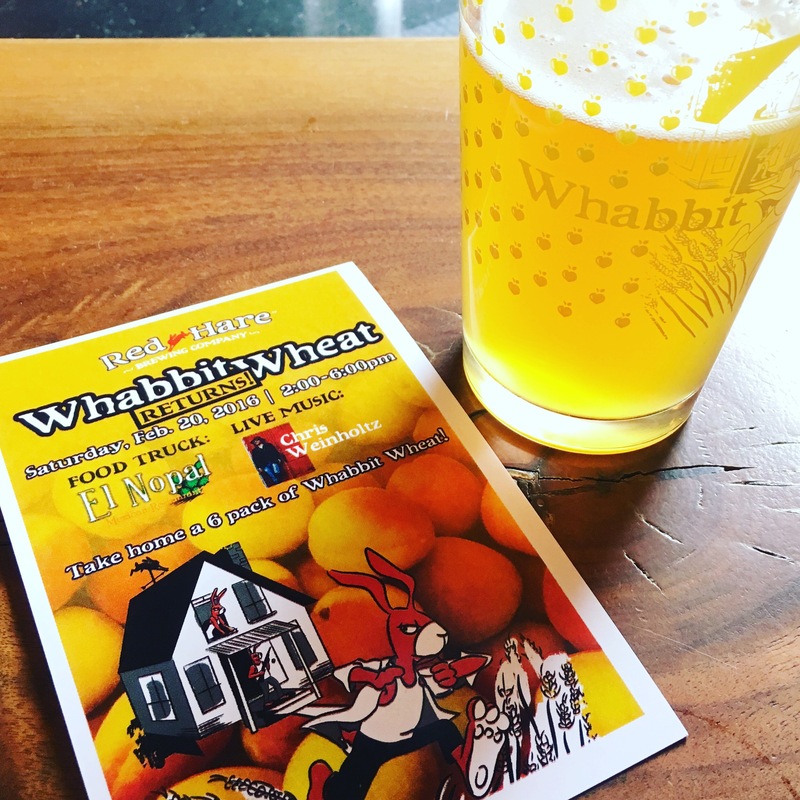 Thank you Red Hare Brewing for a good time AND a six pack of delicious Whabbit Wheat!! See you at the next event! 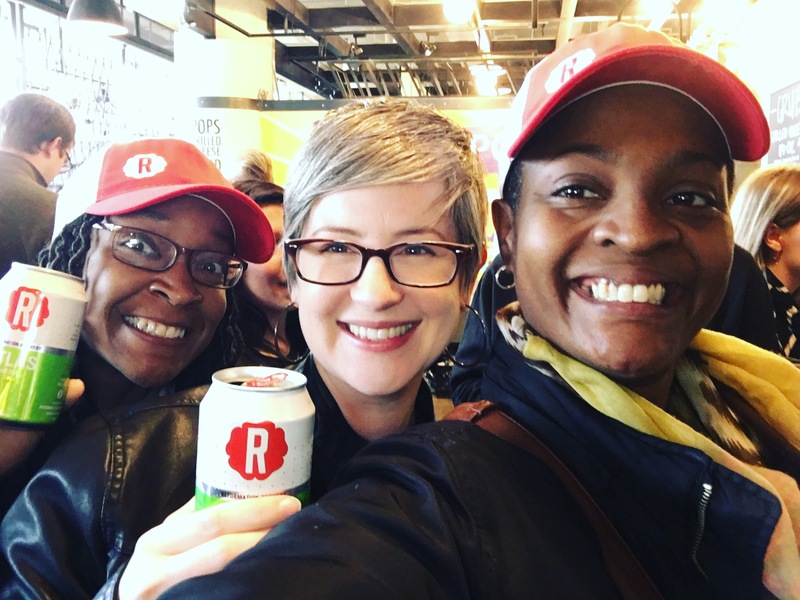 Yesterday, I joined Reformation Brewery on a Beer Can Crawl through Ponce City Market. Reformation Brewery, established in 2013, is located in Woodstock, Georgia. It was very nice meeting some of the staff and fans of the brewery. It was a beautiful day to drink great craft beer and explore Ponce City Market at the same time. 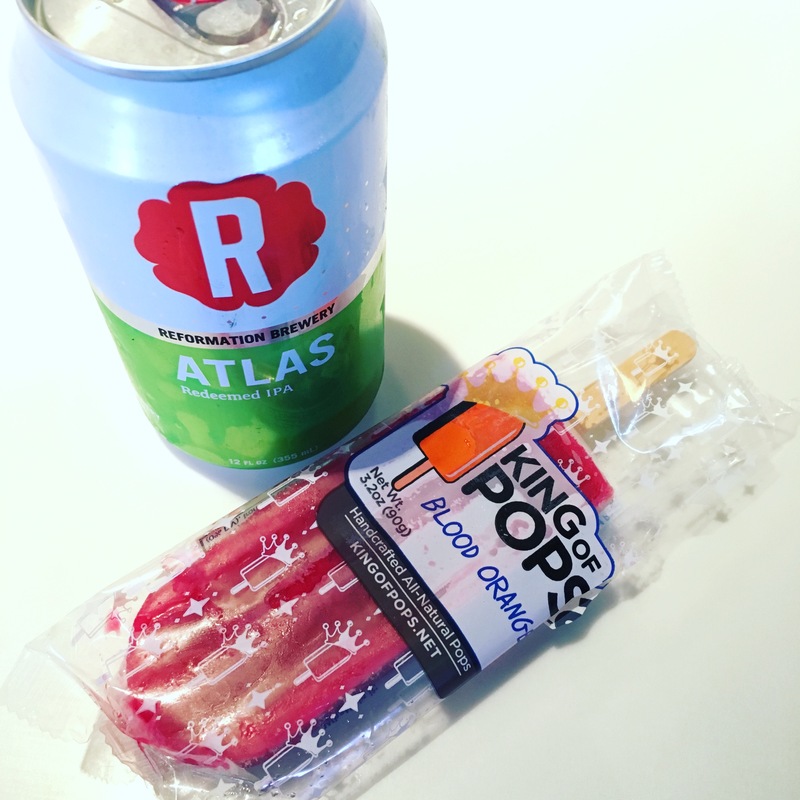 Our Beer Can Crawl started at one of my favorite places to get a frozen treat, King of Pops! Let me just start by saying that this combination was the best way to start a crawl. With IPA being my favorite type of beer and me being a major King of Pop fan, I was in heaven. 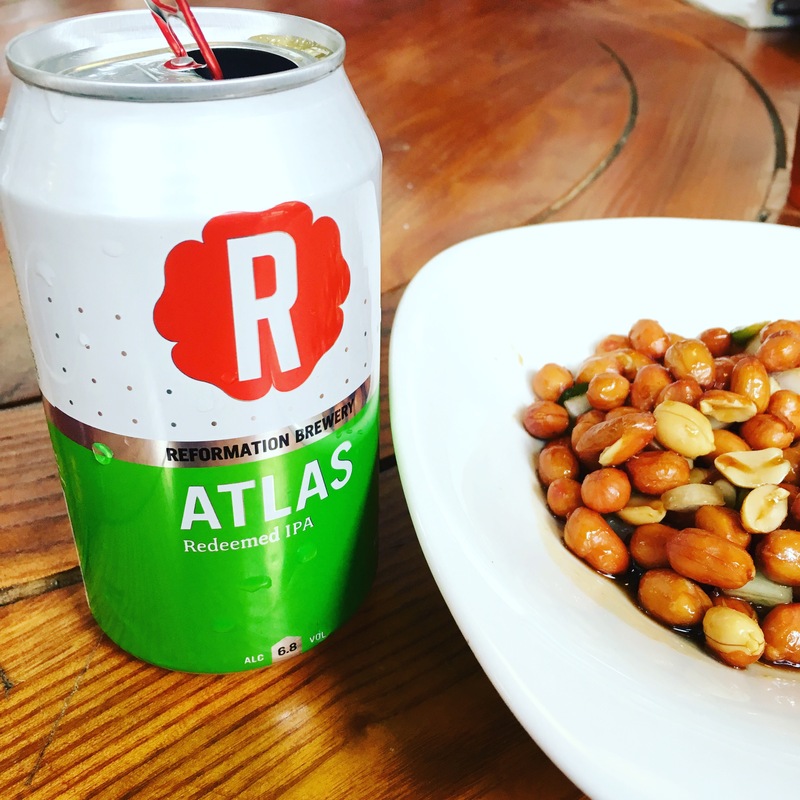 The citrus notes of the Atlas Redeemed IPA took the flavors of the Blood Orange Pop to another level. Yummy!!! 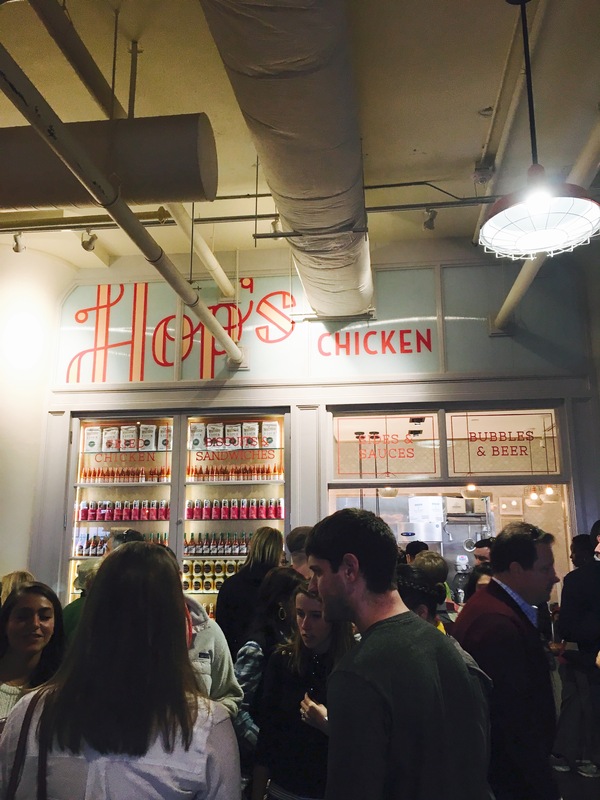 If you’ve never been to Hop’s you should go right now. This place has some seriously good chicken. And with six different sauces you are sure to have a favorite. You can tell just how good the chicken is by the long lines of people waiting for the fried goodness. 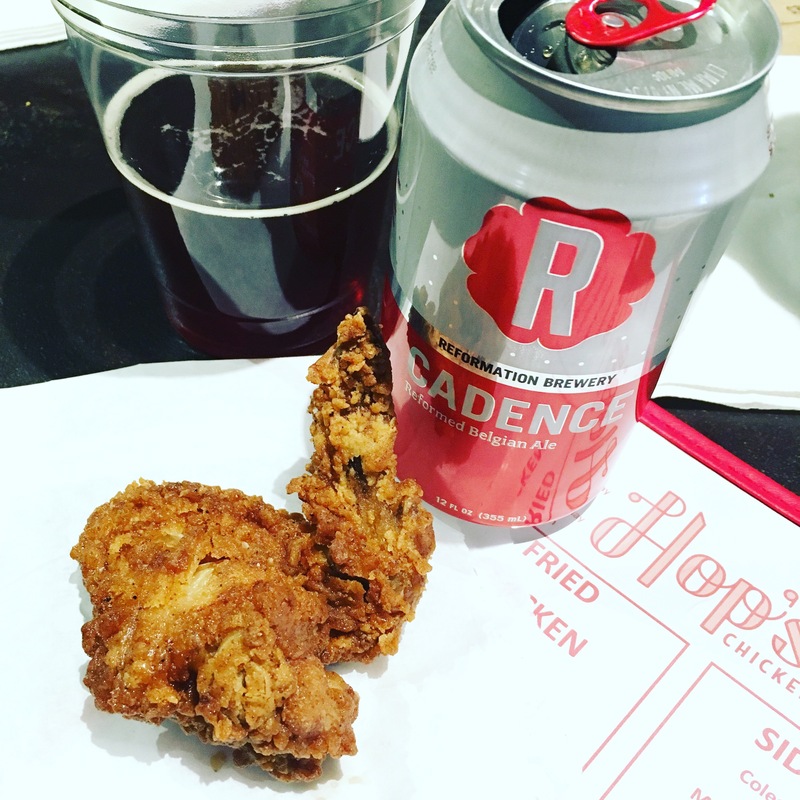 On this stop Hop’s Chicken was paired with Reformation’s Cadence Reformed Belgian Ale. I really enjoy this with the chicken. You got the hints of fruit and caramel right away. Very tasty! So I’ve never been to Jia,but I will be back very soon. 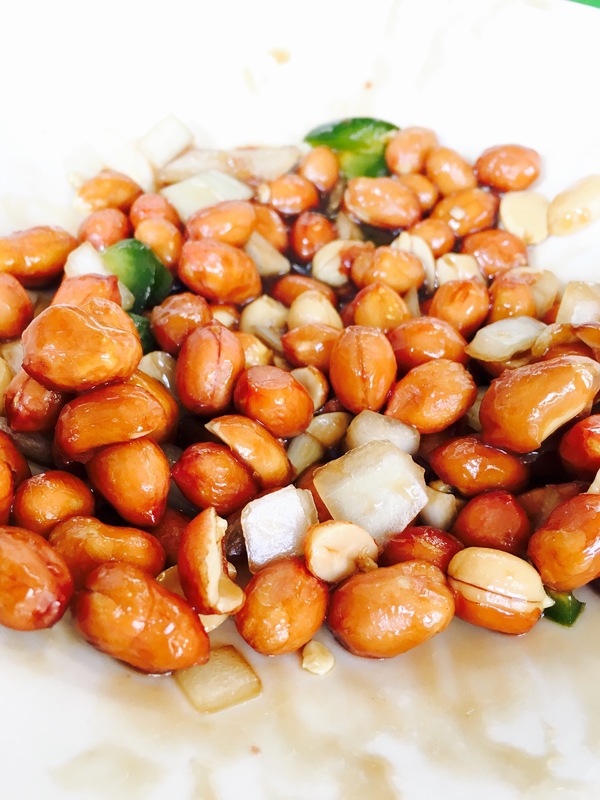 I took a look at the menu and saw more than a few dishes I would like to have. On this stop of the crawl we had the Schezuan Peanuts. Now at first we were like peanuts??? We’re here to have peanuts?? They must be some awesome peanut. And that they were. I couldn’t stop eating them! They were in some sweet, salty, soy tasting sauce. I know it was much more to them than that, but they were really good. They were paired with the Atlas Redeemed IPA. This taco! AMAZING!! For real! It was so much going on in this taco that you just have to slowly eat it to really experience all the flavors properly. One of the best tacos I’ve had! 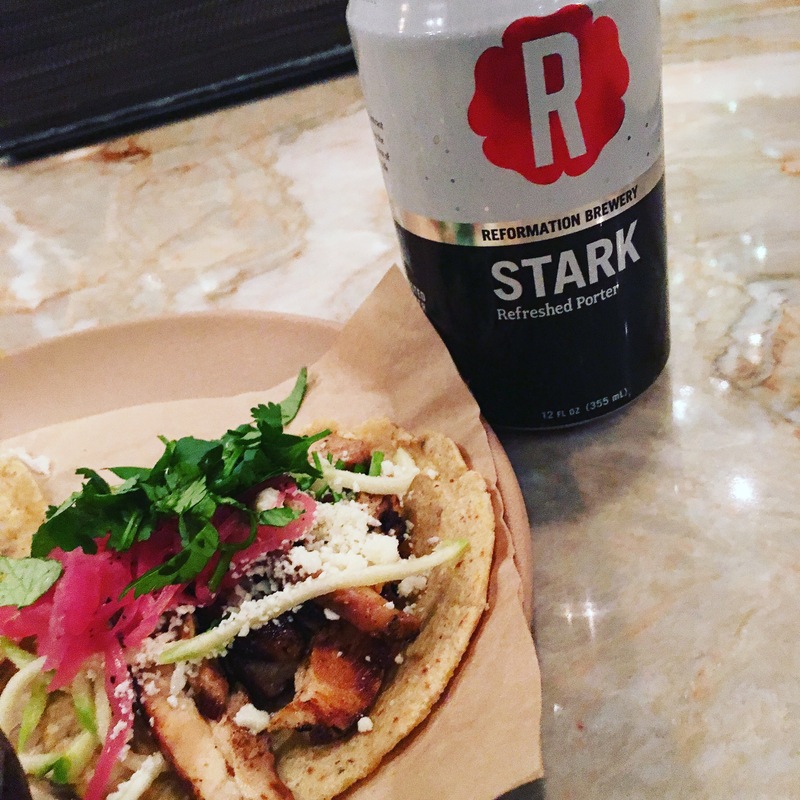 Then comes its pairing, Reformation’s Stark Refreshed Porter. So good. It was my favorite of all the beers. So chocolaty, so rich, so much flavor. I want one right now! Did you read the Veggie Burger description? Yes, the burger was all that. And some. I’ve had once before and felt the same. It’s just plain delicious. It was paired with the Providence Belgian. Again, another perfect marriage of flavors. Thank you Reformation Brewery for such a lovely Saturday afternoon. And thanks for the Reformation caps! Goodtimes!! For more information about Reformation Brewery visit www.reformationbrewery.com. The look you get when you said you wasn’t on the Reformation Beer Can Crawl. This past Saturday, Atlanta braced for a would be winter storm. Although it was very cold and there were some morning snow flurries, it was definitely not a snow day situation. 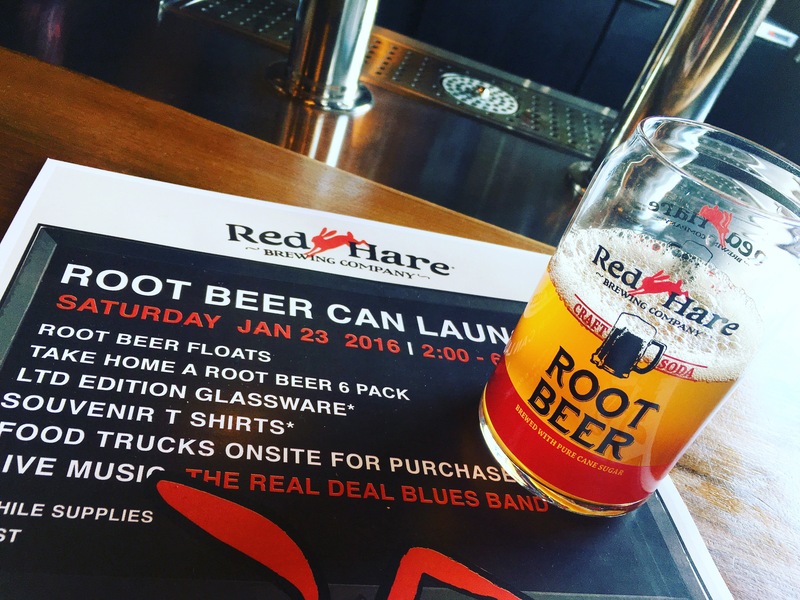 In fact, over 900 craft beer enthusiast braved the frigid temperatures, to attend Red Hare Brewing Company’s Root Beer Can Launch Party. I was really looking forward to it and was really happy the roads were not at all slippery. 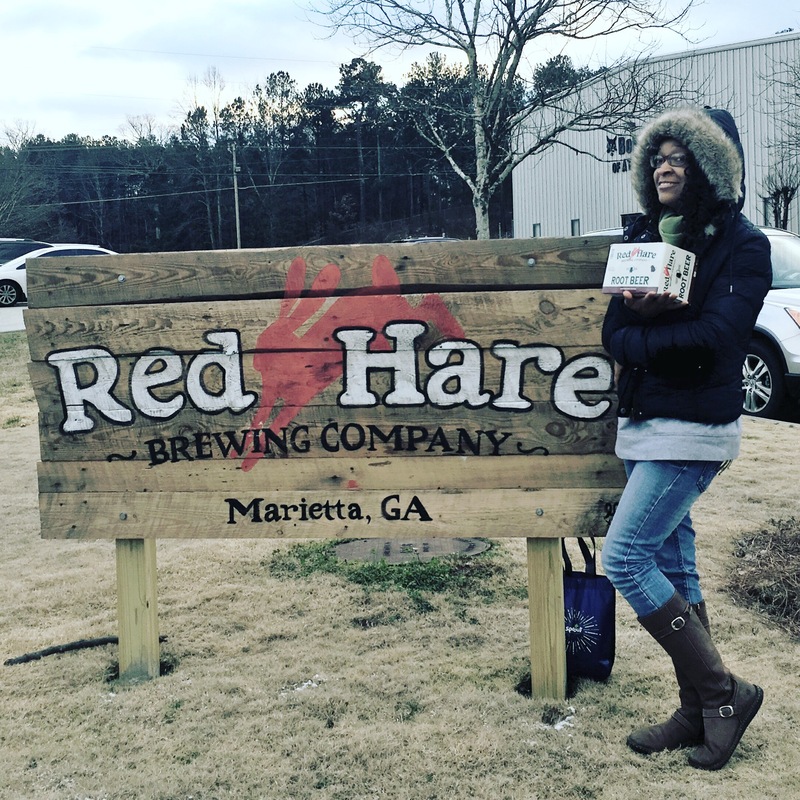 Red Hare Brewing Company is an independent microbrewery located in Marietta, Ga. 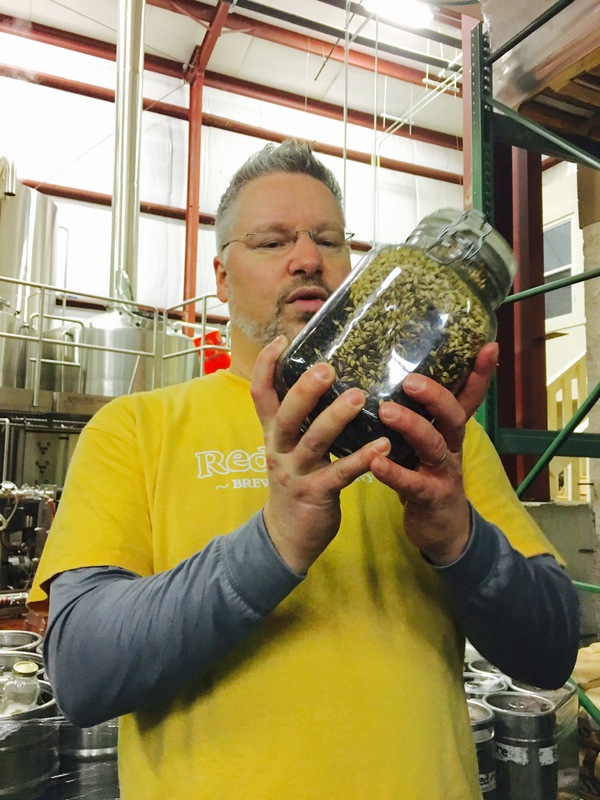 They started selling beer in 2011 and in the following year, became the first craft beer brewery in Georgia to can their beer. 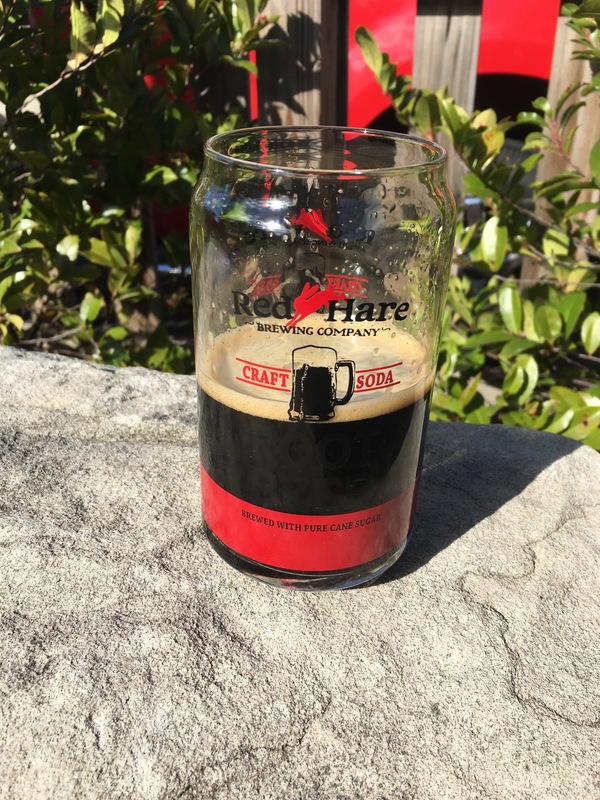 I first became familiar with Red Hare in 2014, when I volunteer at the Red Hare Chase 5k & 15k. That was so much fun and it was my first taste of their craft beer. I became a fan and still am a fan to this day. My most favorite is the Watership Brown Ale. It’s just plain good. 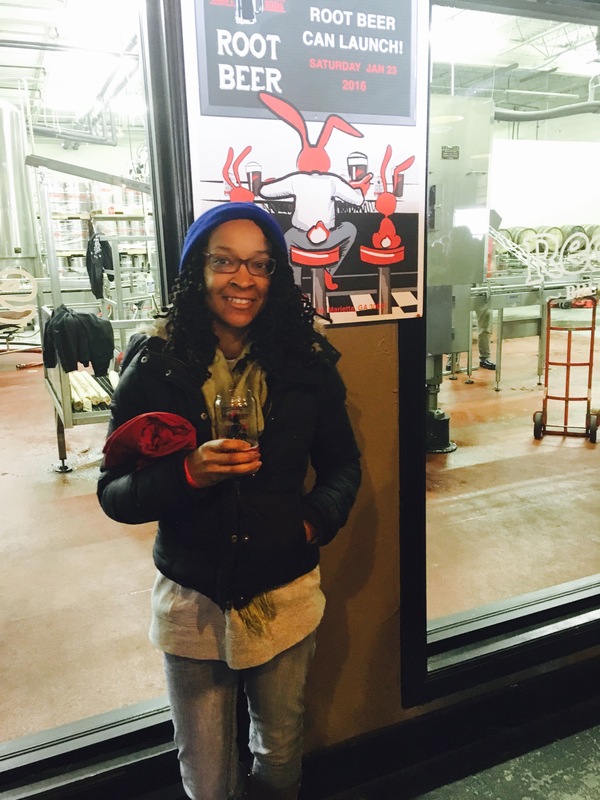 Today they featured a specialty cask, Jacked Rabbit Coffee Lager, which was so deliciously awesome! Very tasty! 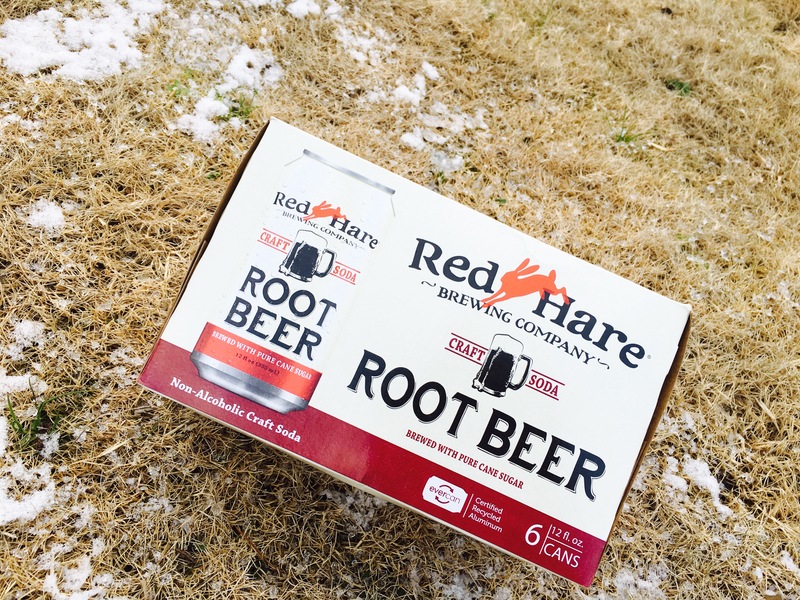 Not only is their craft beer great, but they brew a fantastic root beer. 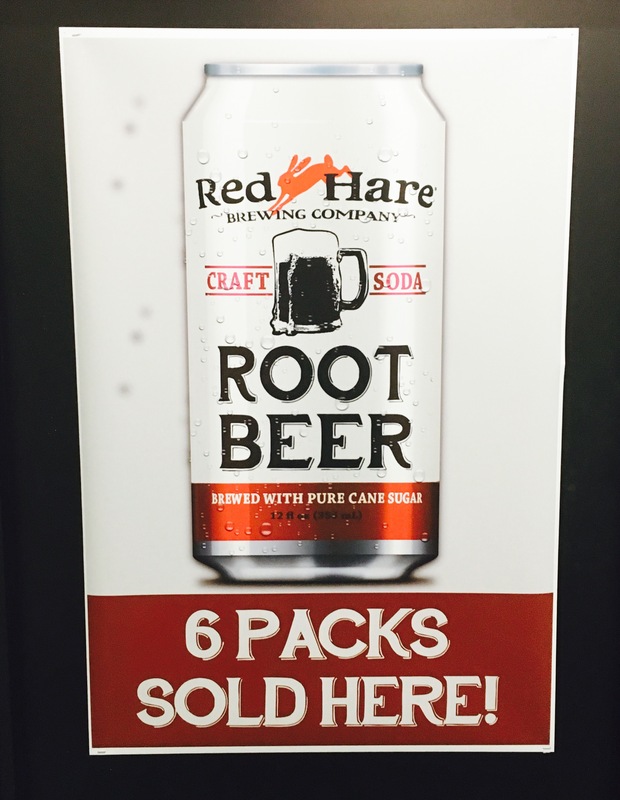 And now, it’s available in a can to be enjoyed in the comforts of your own home. Yes! I wound definitely say that the Root Beer Can Launch was a success. It was packed! Everyone was having a grand time. 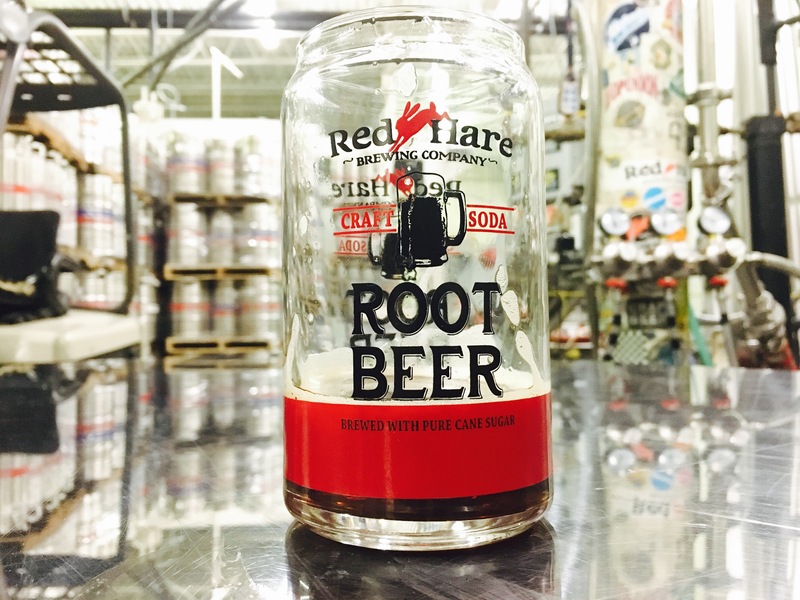 Admission to the launch included a case of root beer, a limited edition root beer glass, limited edition tshirt, 6 beer pours, and a root beer float. Oh! And the incredible sounds of The Real Deal Blues Band! So much awesomeness!! 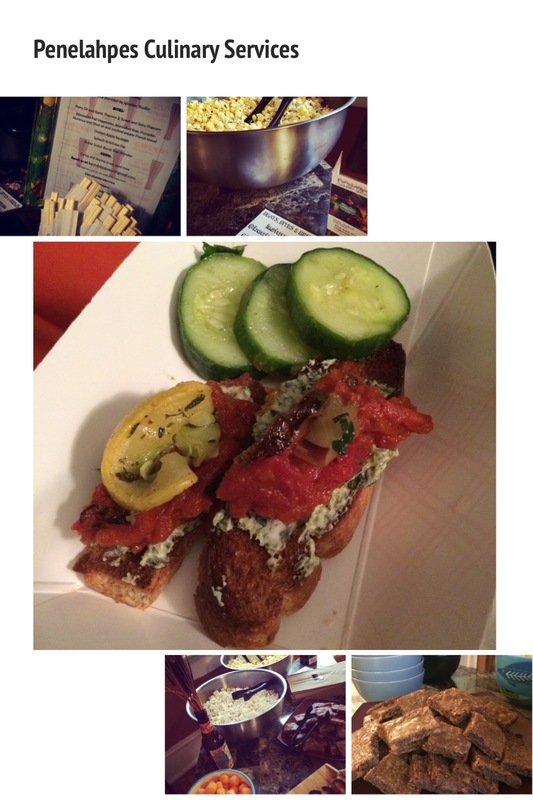 The Patty Wagon was also on site serving up some good eats to complement the brews. 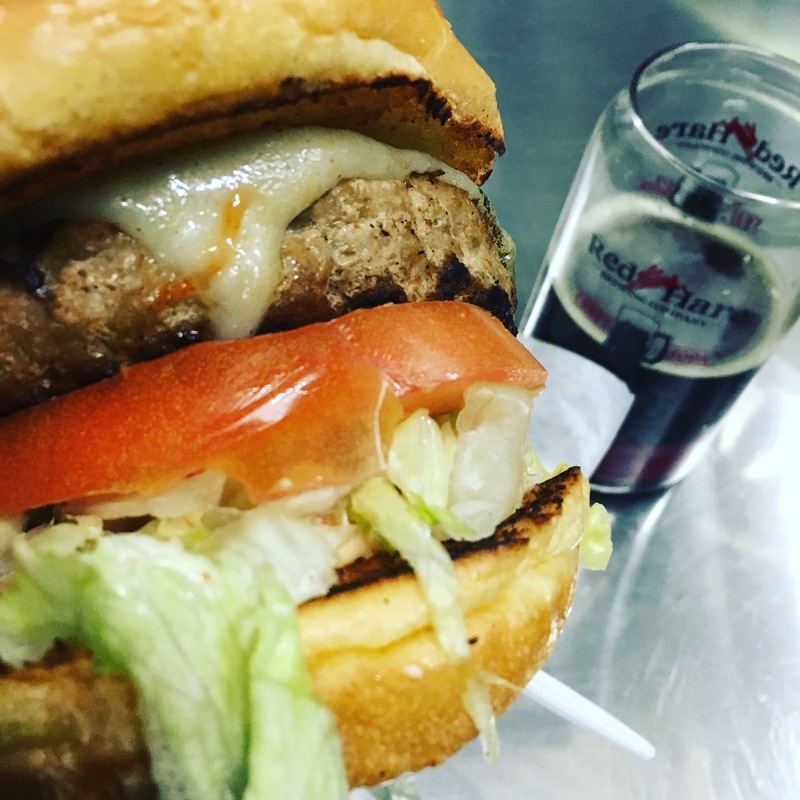 I had the turkey burger. Yummy! We had a great time! 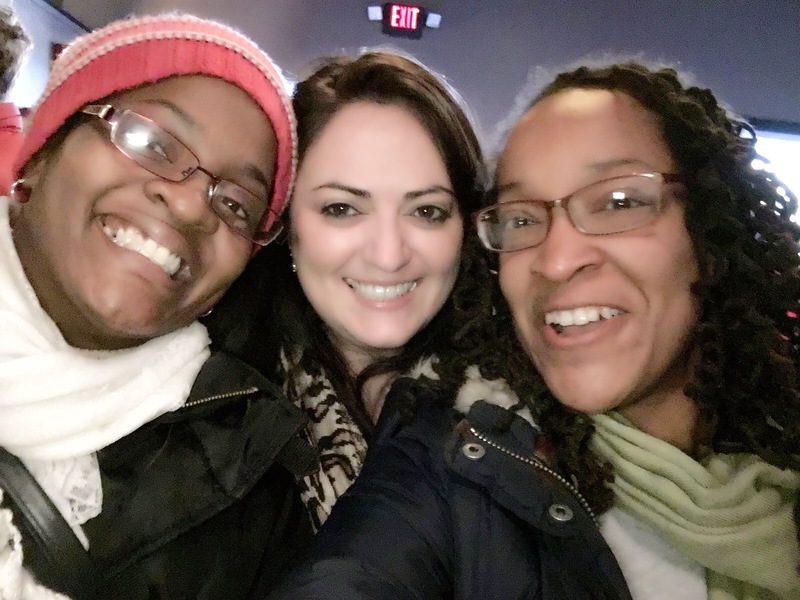 As usual my friend Leslie and I found some cool people to take selfies with! It’s never ever a dull moment with us! 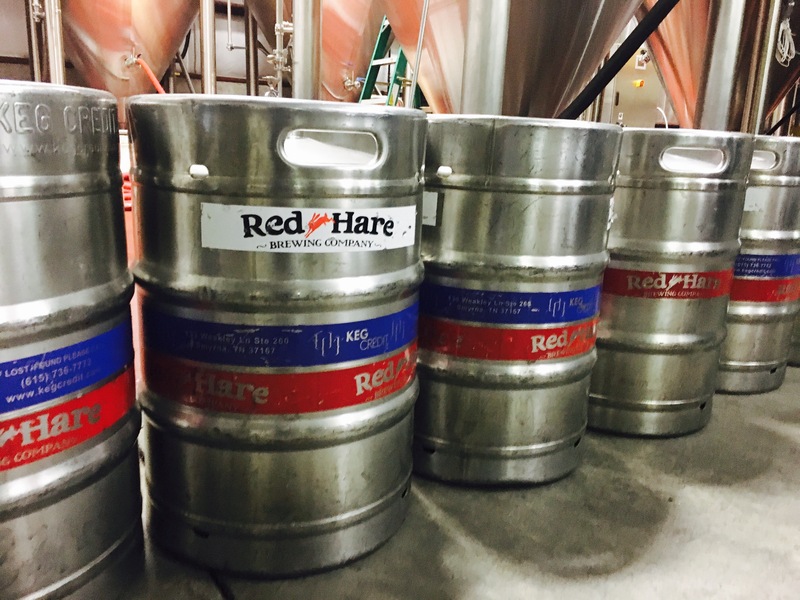 Visit www.redharebrewing for more information about the brewery and upcoming event! 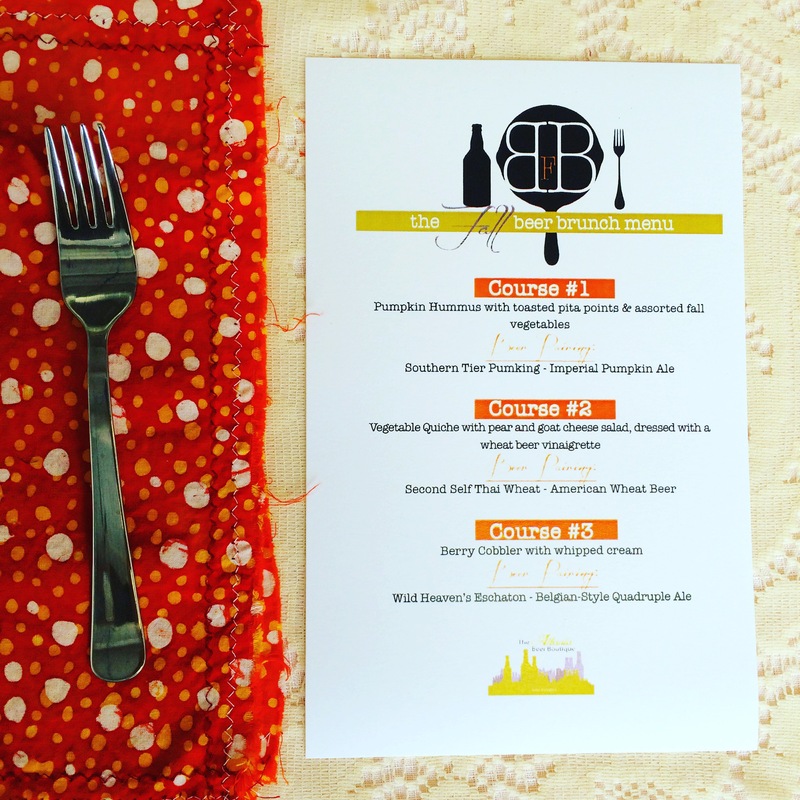 As an Ambassador for CulinaryLocal, I had the extreme pleasure of attending the Atlanta Beer Boutique’s Annual Fall Beer Brunch. 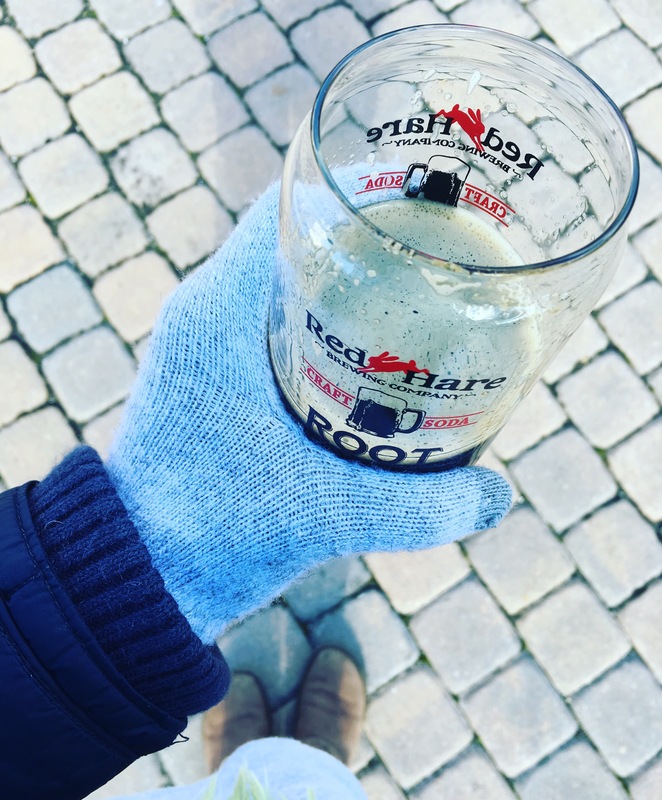 It was held on a beautiful, brisk Sunday at just add honey tea company. Perfect weather for beer! 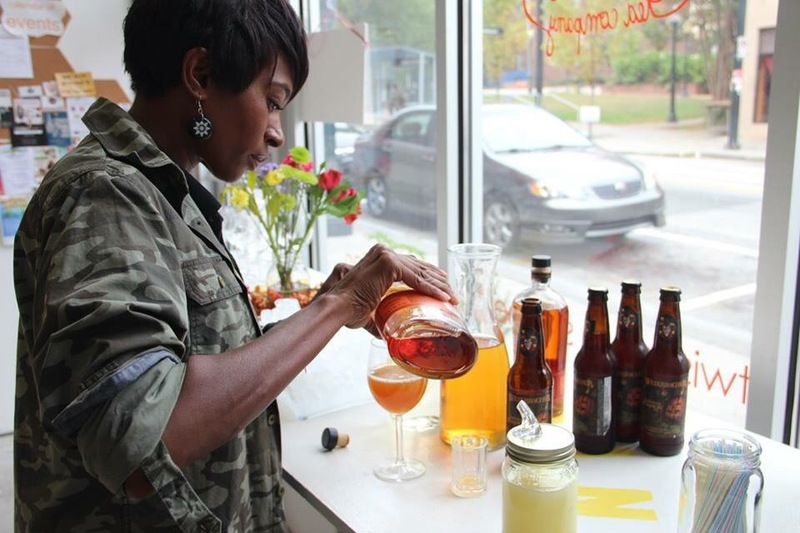 Atlanta Beer Boutique is the brainchild of owner, Jen Price. 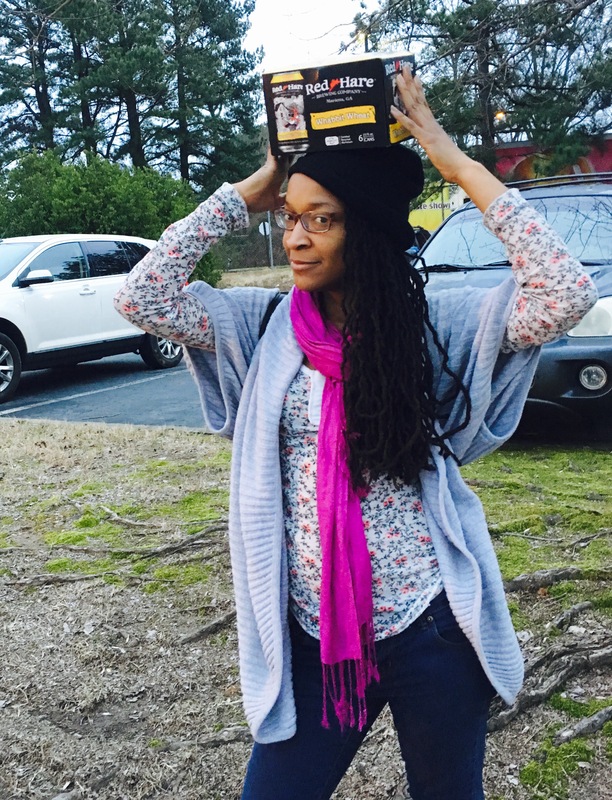 Her mission, to educate men and women alike about craft beer. As a connoisseur of craft beer, I can certainly stand by this. At one time, I only drank one brand of beer. Then a friend, disappointed at a my beer selection, pointed out that the place we were at had over 200 beers available. I realized that I had been limiting myself and didn’t even know it. Even worse, I didn’t know much about craft beer. 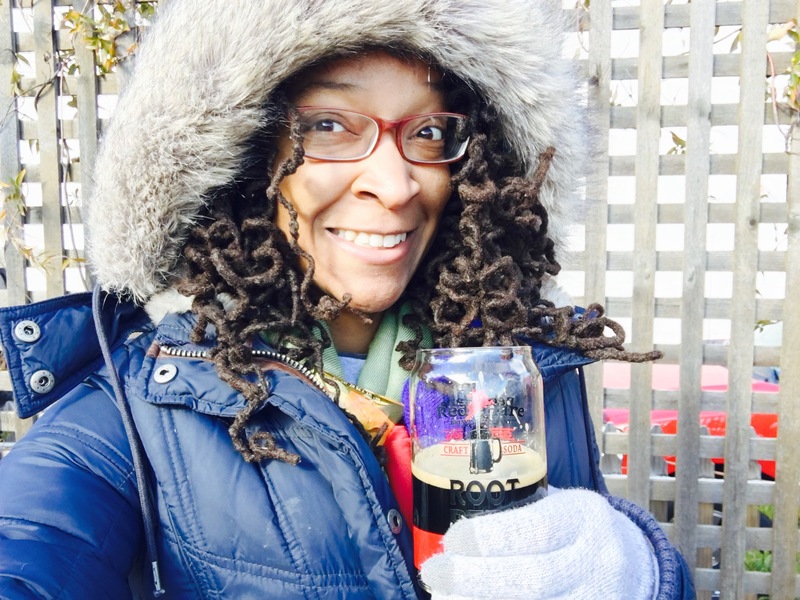 With an open mind and guidance from friends, I started my craft beer journey. Since then, I have been a fan. 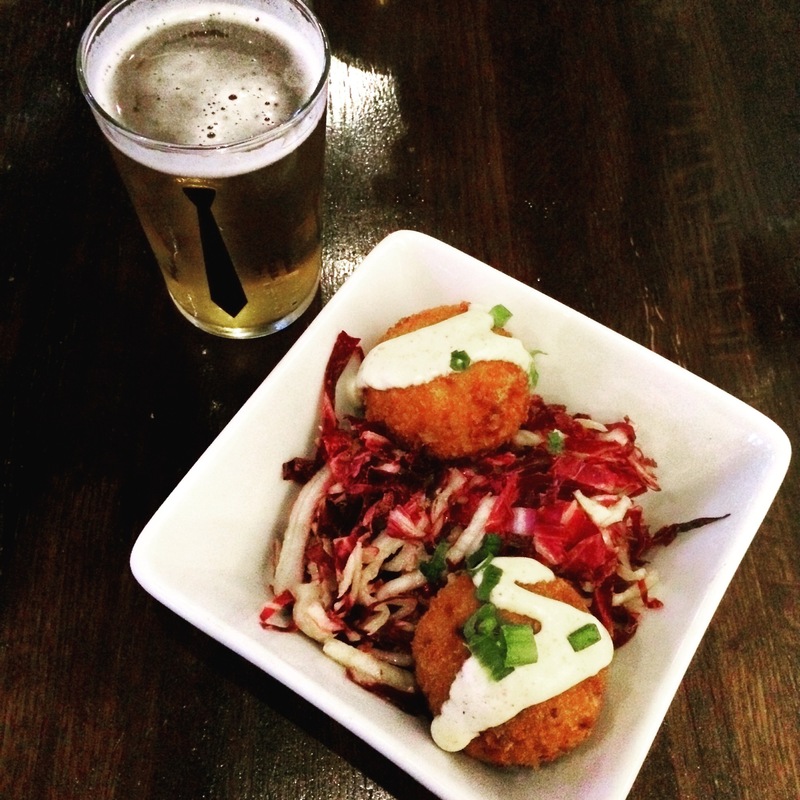 So put that love (or budding love) of craft beer and pair it with a great brunch. You’ll have something just amazing. 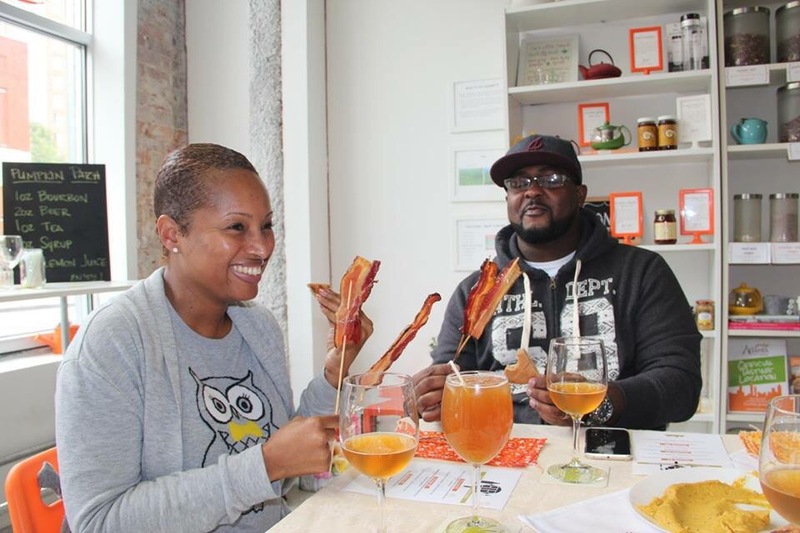 And that’s exactly was Atlanta Beer Boutique’s Fall Beer Brunch was. Amazing. Upon arrival, I was warmly greeted by the host and her all-star team. Her mixologist whipped up a lovely crafted beer cocktail called the Pumpkin Patch. 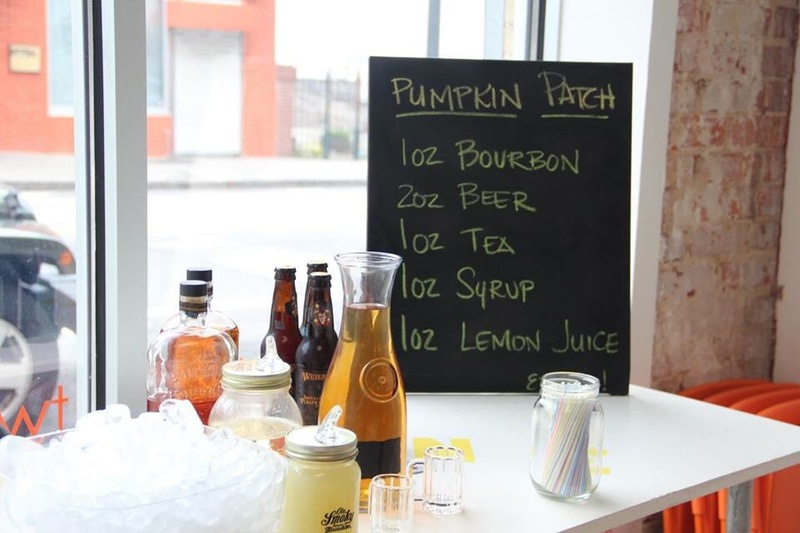 It was made with a seasonal beer, Imperial Pumpkin Ale from Weyerbacher, just add honey’s Vanilla Chai Tea, and Bourbon. It was delicious! Imperial Pumpkin Ale, with its spicy, full bodied flavor, mixed very well with the tea and bourbon for a lovely fall inspired cocktail. 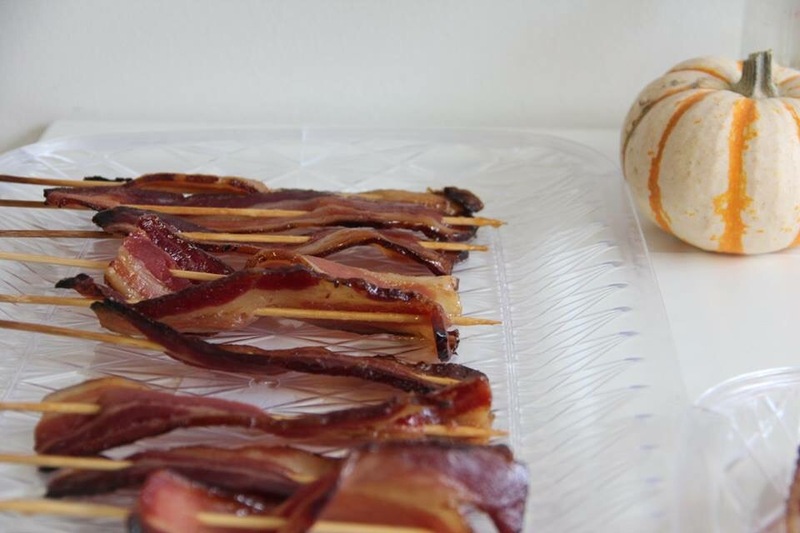 Appetizers included Beer Glazed Bacon and Bourbon Infused Fruit Kabobs. With all of the ohhhhs, mmmms, and closed eyes as they were eating, you knew everyone was really enjoying the bacon. The bacon was from Kilted Butcher and was glazed with beer from a local brewery, Second Self Beer Company. Brunch on this fine Sunday afternoon, was prepared by Chef Glen Lyles. He put together a lovely 3 course meal for us to enjoy. I really enjoyed the Pumpkin Hummus. The pumpkin was an unexpected twist of one of my favorite spreads. 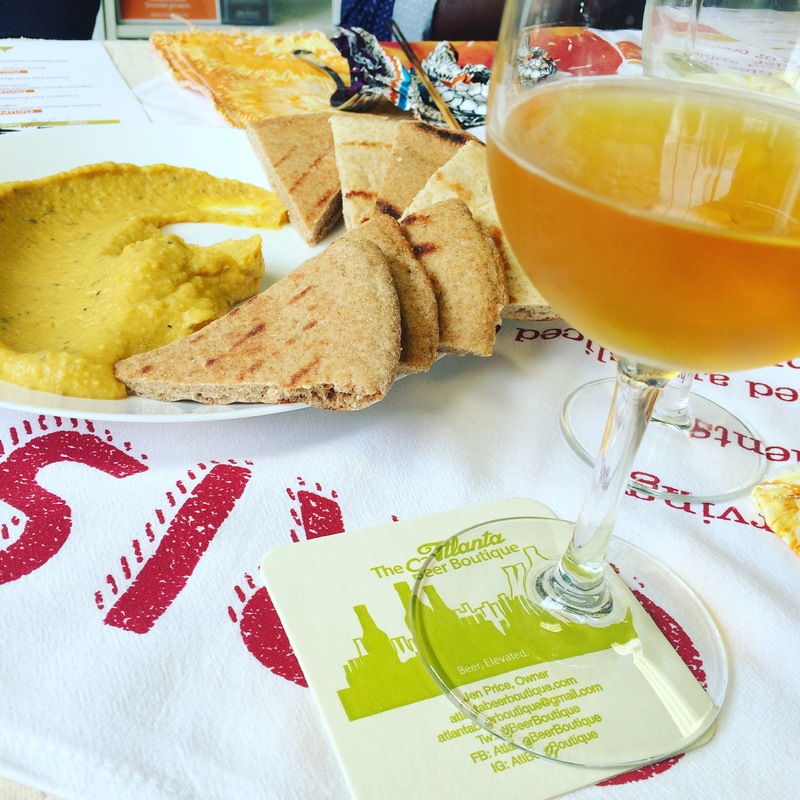 With the spicy notes of the Imperial Pumkin Ale, the hummus was taken to another level. This was my favorite course. 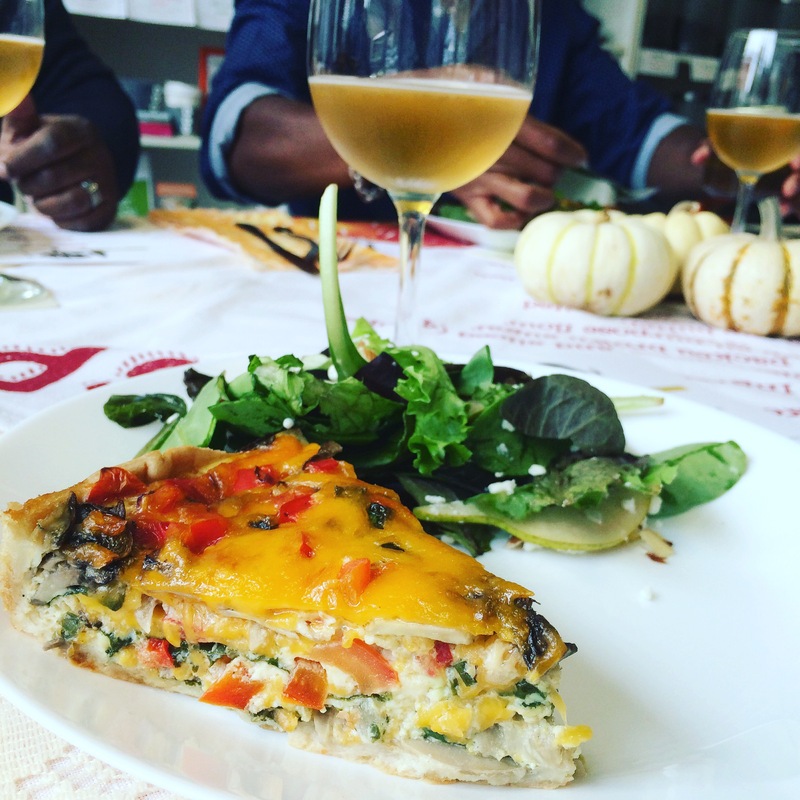 One the quiche was outstanding! It had the balance of vegetables and eggs. Great seasoning. Just plain delicious! I wanted more! The salad was fresh and crisp. Topped with the Wheat Beer Vinaigrette, made with this course’s beer pairing, it was even more amazing. The course was paired with one of my favorite local beers, Thai Wheat. This craft beer, from Second Self Beer Company, has two of my favorite flavor notes, ginger and lemongrass. It’s a fairly light beer, making it a great addition to this beautifully prepared course. Yummy! Delicious! Scrumptious! Give me some more! You get what I’m trying to say. This was the grand finale to this amazing brunch. The cobbler was one point. 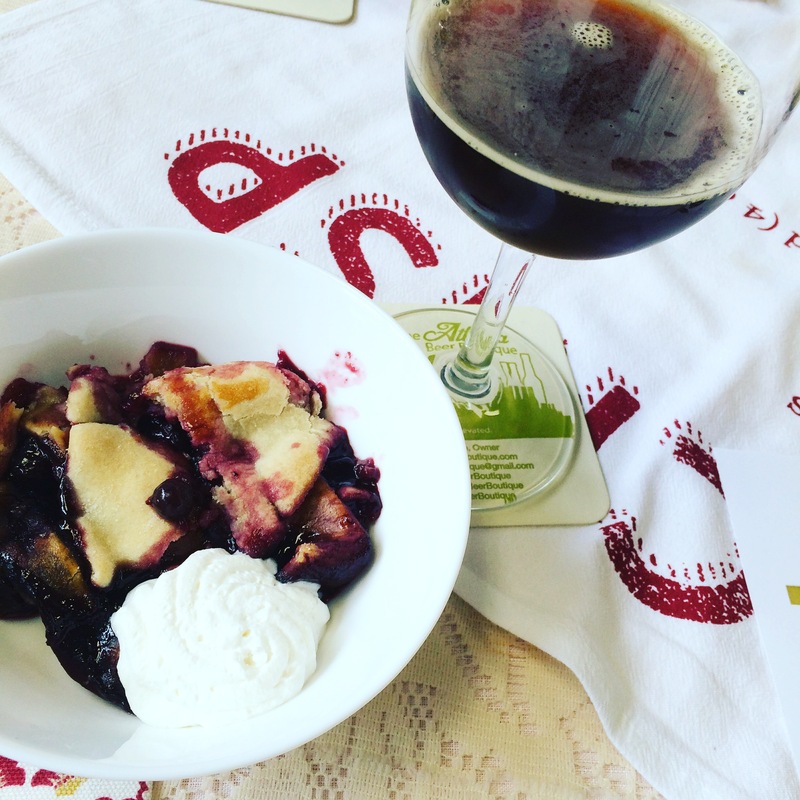 The beer, with its spicy, full-bodied complexity was a genius pairing for it. Well done, Chef Lyles. Brunch was wonderful. A multitude of high 5s to Jen Price for organizing an awesome brunch. The whole experience felt like I was sitting with friends and family. Great food and even better company. It was definitely good time. Thank you for sharing your love and expertise of craft beer. You rock! 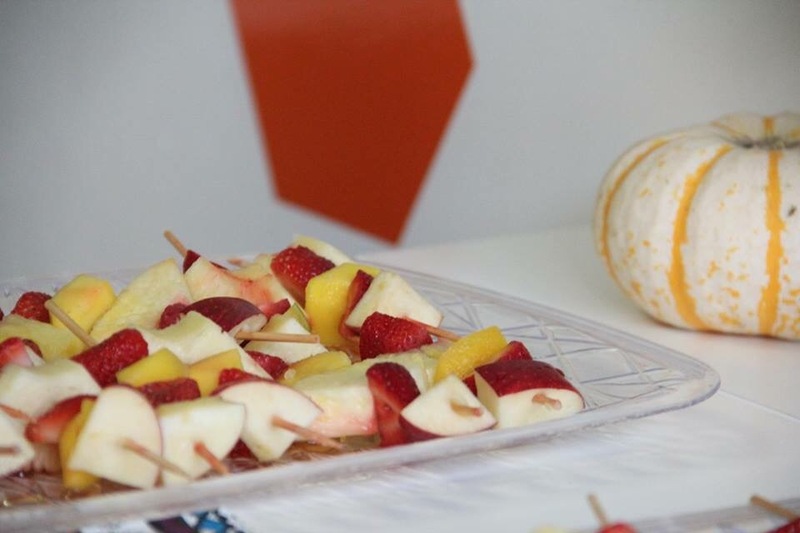 For more information on upcoming event visit the CulinaryLocal Marketplace. Click HERE for more delicious photos! 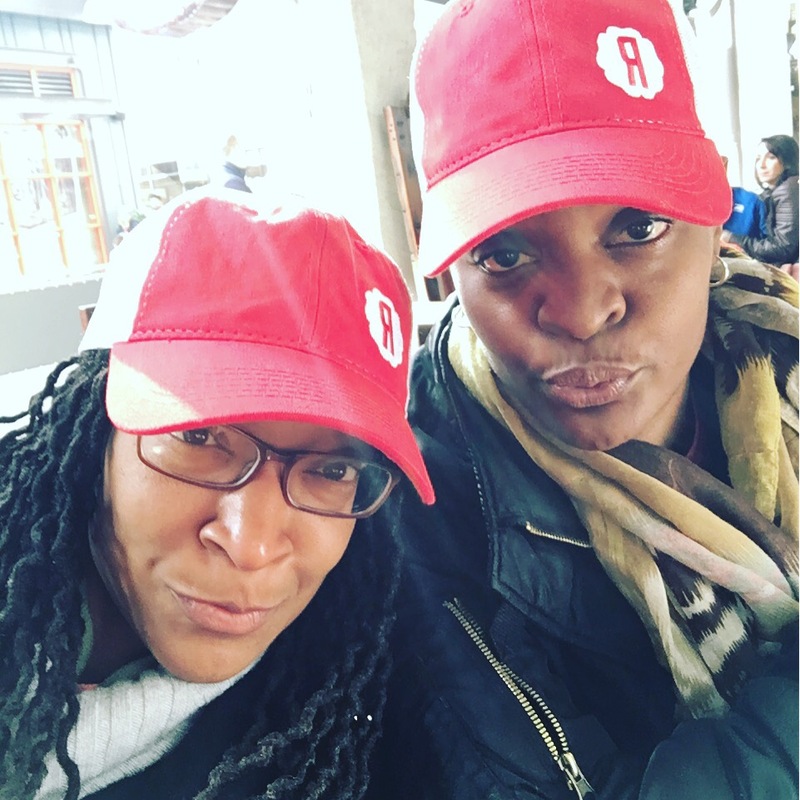 *As an Ambassador for CulinaryLocal this event was complimentary. All thoughts and opinions are that of my own. 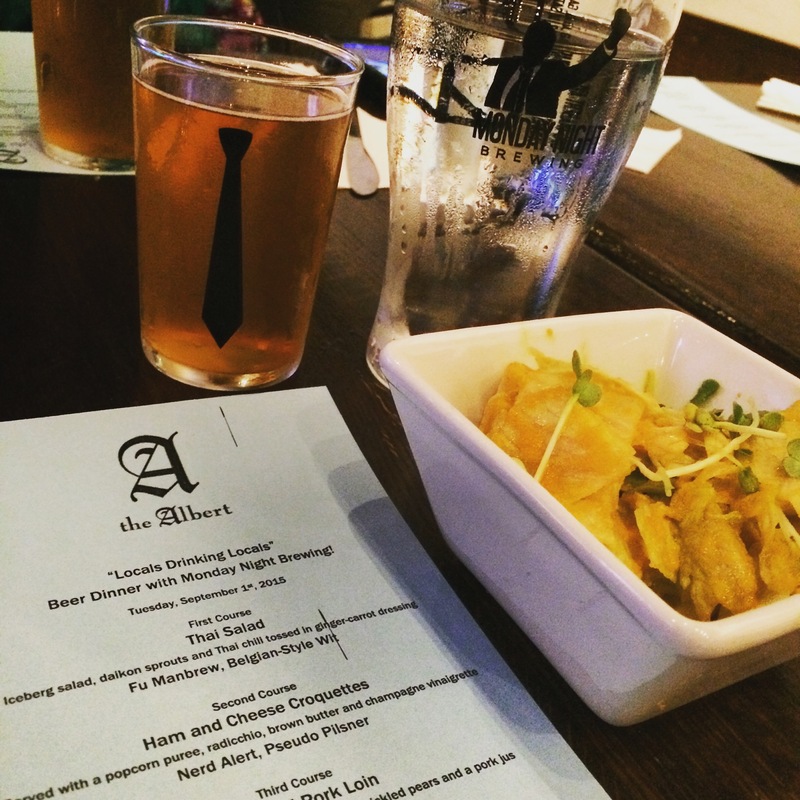 Last night I was excited to attend The Albert’s “Local Drinking Locals” Beer Dinner with Monday Night Brewing courtesy of Food Tours Atlanta. Thank you Cristy! 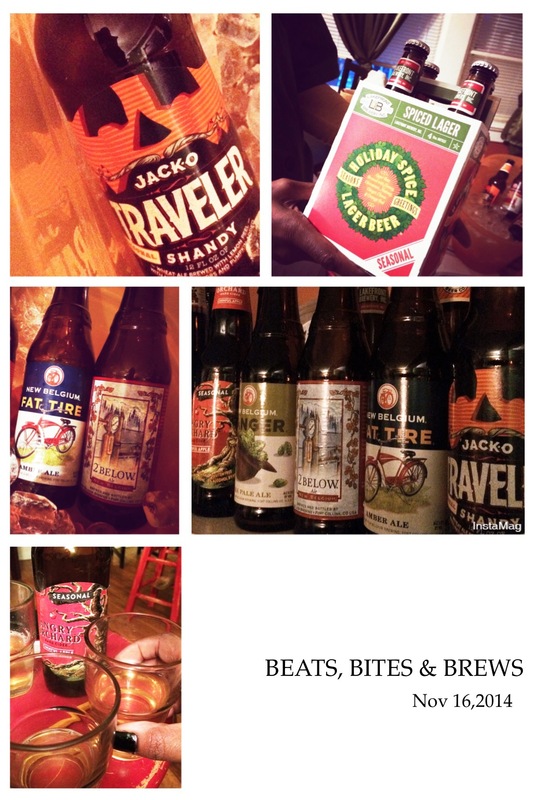 This week’s beer dinner series featured a 4 course meal pairing with craft beer from Monday Night Brewing. Monday Night Brewing is a local brewery located here in Atlanta. Being one of my favorite brands of beer, I was very curious as to what The Albert had prepared to compliment this great beer. Thai Salad | iceberg salad, daikon sprouts, Thai chili tossed in ginger-carrot dressing. I really enjoyed the flavors in the ginger-carrot dressing. It married well with the Fu ManBrew, which is also brewed with notes of ginger. It was a very nice start to our dinner. Mac and Cheese Croquettes served with popcorn purée , radicchio, brown butter and champagne vinaigrette. The chef was very accommodating and prepared a non-meat version of the Ham And Cheese Croquettes. I was given Mac and Cheese Croquettes. They were delicious! It paired perfectly with the clean, crisp flavor of the Nerd Alert. 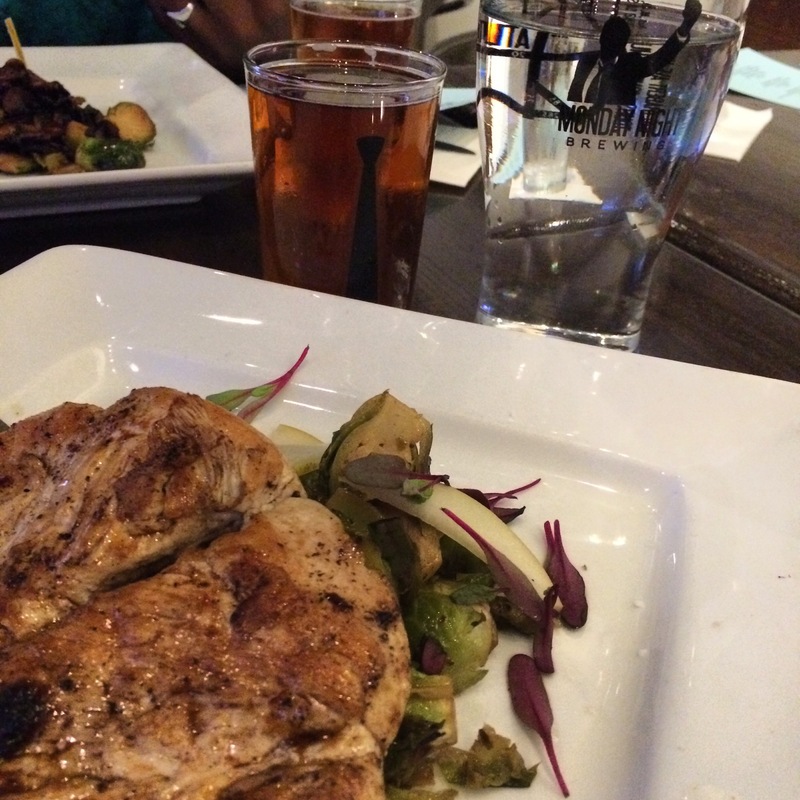 Roasted Chicken served with roasted brussel sprouts, serrano pickled pears. This had to be one the best piece of chicken I’ve had in awhile. The flavors were just amazing! The brussel sprouts were roasted and seasoned to perfection! And to top this perfectly executed course off, there was serrano pickled pears mingling amongst the awesomeness. I need a jar of these pickled pears at my house! It was paired with the very tasty Serrano Eye Patch Ale. With the notes of serrano, this crisp IPA, gave you a punch of flavor that you gladly accepted. Yes. Hickory Smoked Blueberries!!! This is what I was dying to tasted as I reviewed the menu before the dinner began. The smoking the blueberries were just genius! The hickory flavor was definitely there. 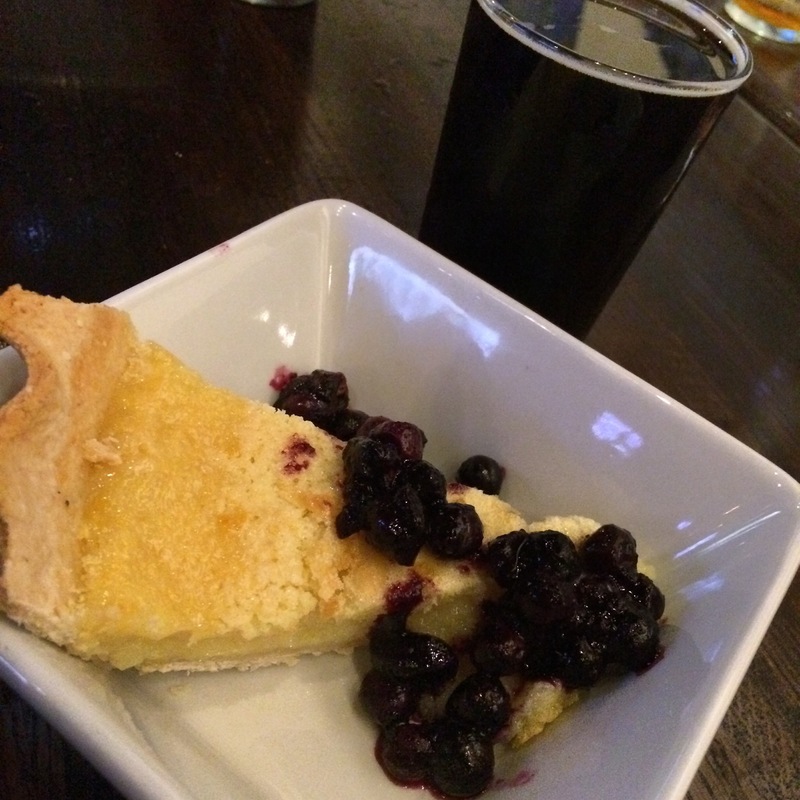 The blueberries were on top of a slice delicious buttermilk pie. To compliment this delectable course was Monday Night Brewing’s Drafty Kilt Scotch Ale. With notes of cherrywood-smoked malt, chocolate malt, and roasted barley is was the perfect beer to enjoy with this course. This was just a great all around culinary experience. 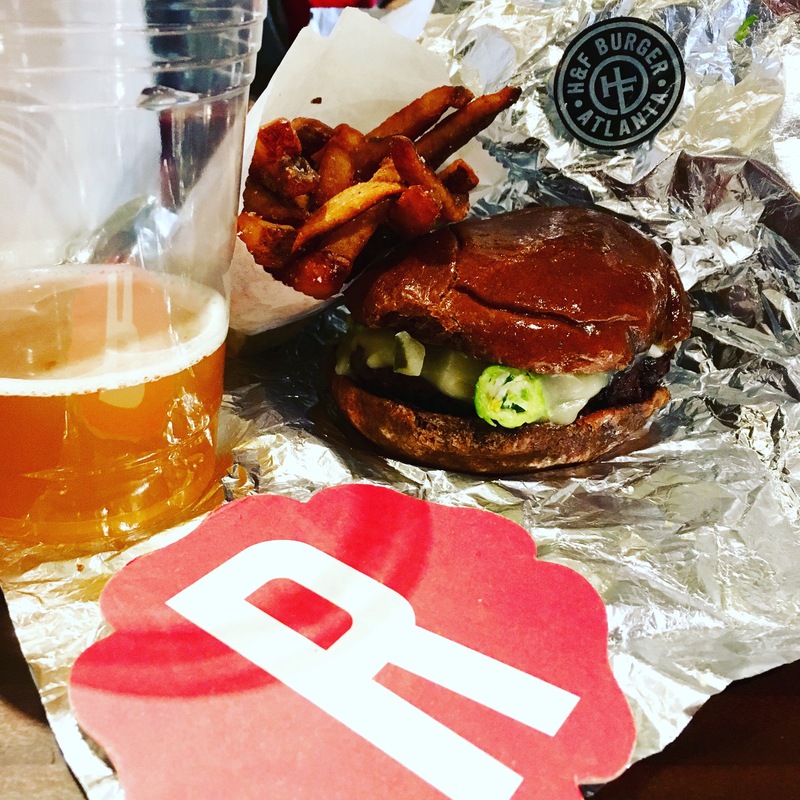 If you’re interested in such awesomeness, join The Albert on September 15, 2015 as they continue their beer dinner series with Red Brick Brewing Co.
For more information about Monday Night Brewing visit www.mondaynightbrewing.com. Be sure to stop by the brewery for a tour as well! 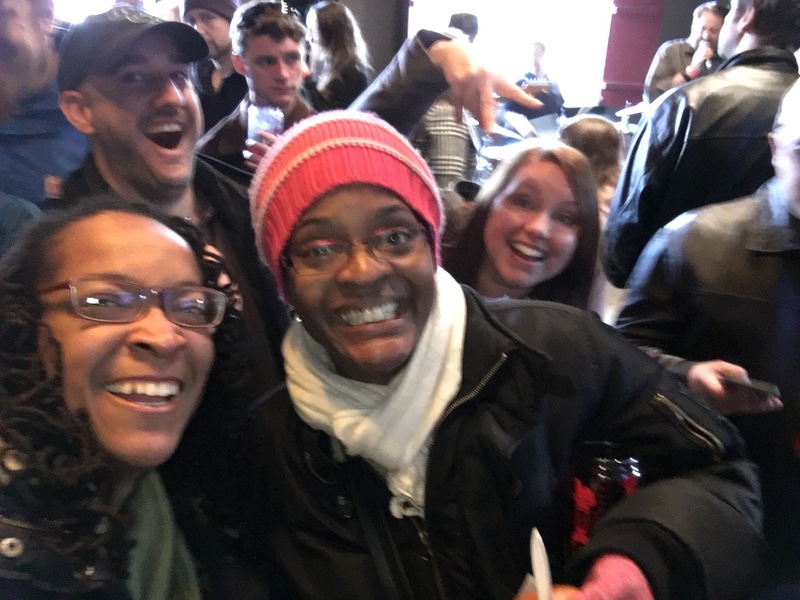 This past Sunday, Beat, Bites & Brews held its first Seasonal Beer Tasting in the Historical West End. 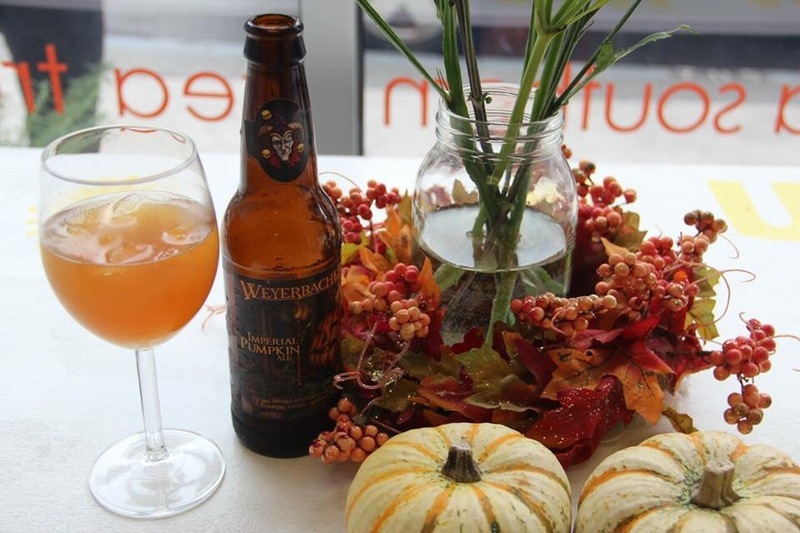 This exclusive event featured this fall’s seasonal beers offerings, as well as fall inspired bites by Penelahpes. Guest also enjoyed swag bags, a photo booth, and sounds provided by Igloo Tew Studios. 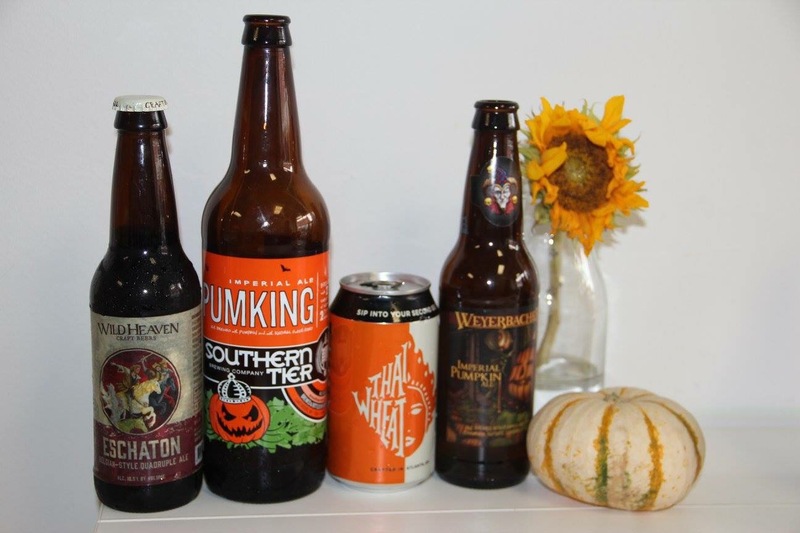 This will be the first of many seasonal beer tasting in the future. 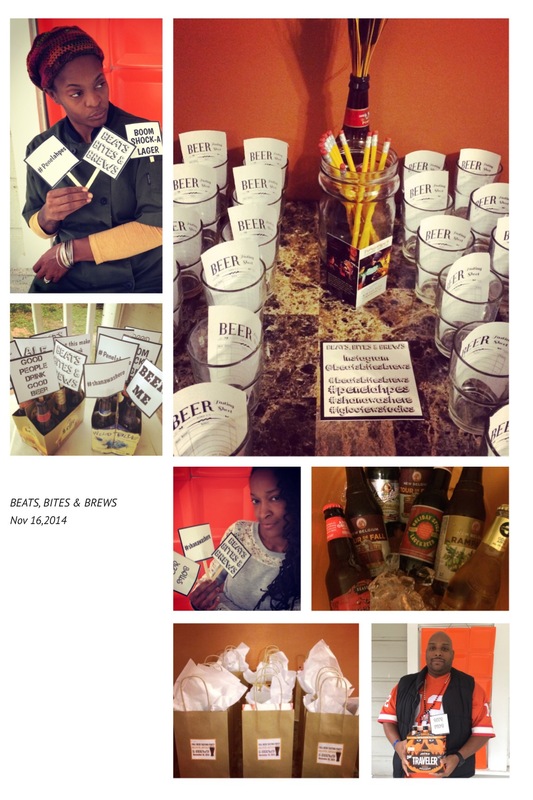 For more information on how to be invited to the next event, email Beats, Bites & Brews at beatsbitesbrews@gmail.com.